Why Do I Need a DME or DMEPOS Medicare Surety Bond? Why Do I Need a DME or DMEPOS Surety Bond? SuretyGroup.com writes all DME and DMEPOS surety bonds. When a patient needs durable medical equipment for their health care, they need it be affordable and from a trustworthy source. Unfortunately, some DME or DMEPOS providers and suppliers can take advantage of the patient’s situation and run up the costs for the patient and for the Medicare program, and could also deliver unsafe items to the patient. As a result, the Centers for Medicare & Medicaid Services (CMS), which oversees the Medicare program, requires DME suppliers to obtain a $50,000 surety bond during Medicare enrollment for each location in which they do business. The bond must be submitted to the National Supplier Clearinghouse (NSC) before a provider or supplier can obtain Medicare billing privileges. 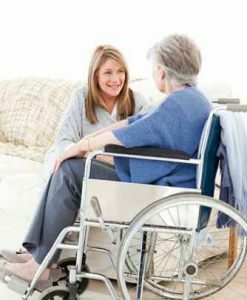 DME “providers” include hospitals, universities, nursing facilities, rehabilitation facilities, home health agencies, hospice and other non-profits. DME “suppliers” sell or rent DME equipment, and includes physicians, nurse practitioners, and physical therapists, among others. Examples of durable medical equipment include prosthetic devices, orthotics, blood sugar monitors, canes, hospital beds, oxygen equipment and supplies, manual wheelchairs and power mobility devices. When Medicare providers and suppliers are able to furnish their patients with durable medical equipment quickly, the patient benefits by not having to go elsewhere for the medical items they need. By providing this service, DME providers and suppliers also benefit with added revenue. Providers and suppliers must have a surety bond in place before they can receive or renew a provider number. The premium, or cost that providers and suppliers pay for the bond, is dependent on credit and the number of years’ experience in the medical field. SuretyGroup.com offers a simplified surety bond program for DME Providers. Our surety bond specialists can give you a free, no-obligation quote that fits your specific situation, and can deliver your bond quickly. Call 844-432-6637, apply online, or email info@suretygroup.com to get started.